Flies are one of the most annoying pests that can be found in almost every business and home in the UK throughout the year. Of course, they are especially active during the summer period. There are many fly species out there, but some of them are more common than the others. By learning more about these widespread species, people can also learn how to prevent them from entering their businesses and homes. Bluebottle fly, or blow fly as some people call it, is a type of fly usually found close to dustbins. They are fond of feasting on dead animals and pet faeces and this is the reason why they can be dangerous because of the different diseases they carry. This is another common fly in the UK. They love flying around cattle and horses and, in most cases, they gather around their eyes or other parts of the face. They feed themselves from the saliva, nasal mucus and tears of animals. During the night they are inactive and usually stay in buildings. The female autumn flies look almost the same as the regular house fly and they are very powerful fliers. These flies are often found living in isolated places within homes like wall voids or attics. They look for warm areas where they can hibernate during the winter months. There are many cases when cluster flies gather in groups and stay on the windows when the weather is sunny in winter. As soon as the temperatures warm up, they come alive and can become an unsightly nuisance. As expected, fruit flies can often be found on fruits or places where fermenting leftovers in veggie plots and pubs are found. They are quite small (3 mm) and have distinctive red eyes. They breed in rotten fruit and in dirty drains. This is the type of fly that we all know. 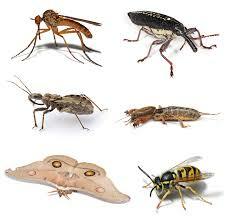 These flies carry many different diseases and they can live in almost any building. They are fond of human food, animal feed, pet food, food waste and animal faeces. If you are experiencing a problem with flies and need advice on the best course of action to take, please contact us now.